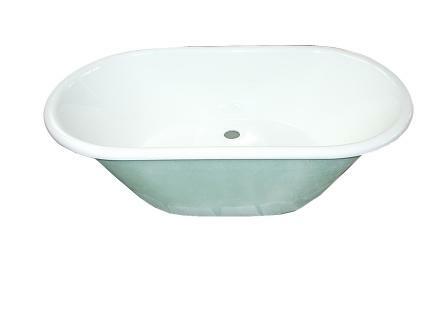 Baby bath tub consisting of a acrylic tub body - glass fibre reinforced for the professional use with two sloping back-sides. To be built-into worktops in the nursery of, e.g. hospitals. Text for invitation to tender and technical details "Baby bath".